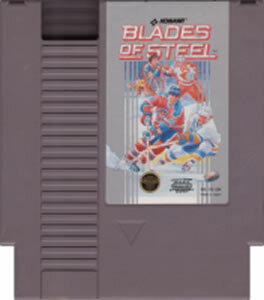 Blades of Steel original NES Nintendo Game cartridge only - Cleaned Tested and Guaranteed to Work! 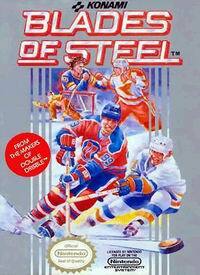 The best hockey game on the NES. Game works great. Thanks again! Classic game... tons of fun! Game arrived in the time frame expected. Took some delicate manipulation to get it to work on our console but we managed to get it working. Bought it as a gift to surprise my SO with a blast from the past. Was not disappointed! One of my favorites from my childhood, just had to play it again. Simplistic but fun. Remembered it from childhood the sec the players came out. Got this with my points. Great game and you can fight in it like real hockey! Delivery came on time and it works great such a classic hockey game with fighting. Fast delivery and no surprises - cartridge is in excellent physical condition and plays flawlessly. A great hockey classic! the iconic opening screen of this game, the way the players move around, the ease of the game. this is one that you need to buy! 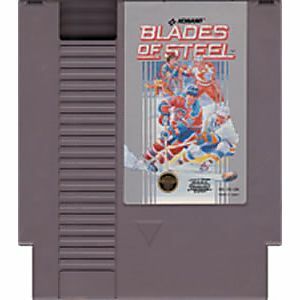 Blades of steel is also the only Hockey game i have ever played that when yuo get in a fight, the winner stays on the ice, and the loser gets a penalty! this is an excellent party game, have 6 friends over, each choose a team and duke it out till one is left standing! BUY THIS GAME! Best Hockey game I have ever played!! I bought this game with my Lukie points by accident and I was very upset that I did. To my surprise this is a great 2 player hockey game. I now play it alot and love having friends over to have a hockey tournament! This is a must buy! !